This entry was posted in awareness, wisdom on 8 September 2018 by Martina. My father was a lawyer, and a damn good one, at that. He spent the majority of his career practicing corporate law, which meant he had an opportunity to educate people around him who otherwise wouldn’t have had a lot of access to all things law. When I was a lot younger, maybe in my early teens, I remember once saying to my dad, “…but it’s totally legal,” about some topic or other. He took the opportunity to teach me what that really means when I’m saying it. “Legal” is not something to aspire to. It’s not a high bar. In fact, as he said, “It’s the lowest acceptable form of human behavior.” It’s one step away from illegal, which is criminal. Legal is not the same as ethical. Legal is not the same as moral. I thank God every day for my father teaching me that concept at such a young age, because it shifted my perspective. 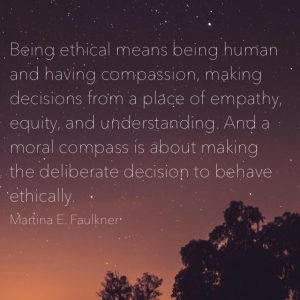 Instead of thinking of being “legally compliant” as the high-water mark, I came to see being ethical and having a moral compass as the high-water marks and the law as the lowest acceptable form of behavior in which I could ever engage. Those stars, however, are not very far away. They’re within reach of everybody, because to me, being ethical means being human and having compassion, making decisions from a place of empathy, equity, and understanding. And a moral compass is about making the deliberate decision to behave ethically. So, the next time someone tells you they were “acting legally” or “in accordance with the law” – it might be worth it to dig a little deeper and find out what they really mean, because they’re not saying very much if they use those words. This entry was posted in awareness, choice, empowerment, wisdom, words on 27 August 2018 by Martina. If you think something you read online is about you, it probably is – even if it isn’t. Over the weekend, I posted some words about truth and wisdom. Then this morning, I shared how incongruent it is to preach light (or truth) and spread anything fear-based. And then I got some push back. A few people were courageous enough (I truly respect their courage for actually asking) to reach out and ask me if what I had written was about them. Because if you read something online that someone else wrote, and you get a twinge in your gut or mind that it might be about you, even if it’s not… then it probably is – because you are feeling something. You are feeling the message in the words, and it’s prompting you to call your own actions into question. So, even if it wasn’t written with you in mind – if you’re feeling it, then yes, it’s about you. More importantly, it’s within you, and has nothing to do with the other person (like me, or anyone else writing and sharing stuff). They’re simply the mirror or message that you need in that moment. For both the positive empowering stuff, and the twinge-y kind of stuff that gives us pause and makes us angry, resentful, or curious to ask the question. The bottom line is simple: We’re all on a journey of our own making, and yet, we’re also walking this path together. It’s a duality of truth that feels contradictory, and is anything but. So, if someone shares something that prompts something in you, it’s an opportunity… a gift. It’s a chance for you to modify your path slightly, as we journey together. Cool, huh? This entry was posted in awareness, balance, nature, peace on 21 August 2018 by Martina. Today, during my fitness session the coaching assistant said to me, “You’re really stressed. Your body is tensing in random places, while you’re trying to isolate other areas. I think you need to figure out how to get everything to just… be.” Followed repeatedly by: “Relax, relax, relax,” as she jiggled my thigh muscles. Where was I? Oh yes, she isn’t wrong. I carry stress throughout my physical body, and my major muscles (quads, especially) work to compensate for everybody else. They’re the superheroes of my muscular system, always stepping in to save the day – which also means that they rarely allow any other muscle groups to get in on the action anymore. At least not properly. Compensating muscles are the worst enablers of the human body. So, here I am with significantly weak muscle systems and overly built-up other muscles, and working to bridge the gap in between. As it turns out, it’s not easy. Just trying to get my foot muscles to do basic moves on their own proved to be an exercise in simultaneous multiple-firing synapses in my brain, causing chaos and confusion. It was weird! I have to give it time. And, perhaps more importantly, I have to give my system some downtime. I’m not the best at that. I use Yoga Nidra meditations – especially at night – when I need some external help. They work well, but it’s not the same as figuring out how to allow my body to take space and time to rebalance on its own. Admittedly, I’ve figured it out for my spirit and my brain (for the most part), but the physical stumps me. I’ve always just “pushed through” when I needed to, and laid back when I didn’t. Not very balanced. Also leads to a lot of injury. Unfortunately. Then today, when I got home from my appointment, the skies had cleared, there was a gentle breeze, and the temps had dropped to just around 70º – in other words, it was perfect. My kind of weather. So, I took my water, went outside with the dogs, and sat in the lounge chair for a bit. As I was sitting there, I noticed the ants on the patio going about their business. One, in particular was carrying something two times bigger than itself, and I watched as it maneuvered around obstacles and climbed over others. It was impressive. My body started to relax and quiet. 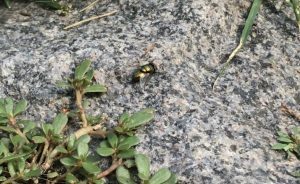 I began to notice other things, like the iridescence of a fly that came to land nearby. Then I saw the other ants moving around the patio floor, and they were all different sizes. 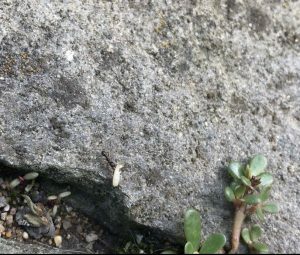 I learned about ants in school and knew that they each had different roles in the colony, and that their size would relate to that, but it was different to see it in action. Eventually, I decided to just lie down and watch the ants. For about half an hour. Thirty minutes of doing nothing but watching ants go about their day. Perhaps some would see this as wasteful, or lazy, but it was one of the more self-healing things I have done in a while. My heart rate slowed, my breathing grew deeper, and the best part: my muscles relaxed. All of them. I didn’t have to do anything, or think about anything to get them to relax, they simply did. It’s their natural state. Now, as I’m typing this only thirty minutes later, I can feel the sense of calm that I acquired outside wash over me. It’s quite profound, actually. It’s a physical peace that is starting to come close to the inner peace I have already cultivated. Nature is one of the greatest gifts we have. I’ve taught almost all my clients to use nature to restore their inner nature, and it works. Today, I got to listen to my own advice and use it to restore my outward – or physical – nature, and it’s wonderful. I’ll definitely be watching ants again. Along with the birds, bees, butterflies, and any other small creatures that allow me to witness their comings and goings. Of course, the ants are wonderful because they’re so small and you can get lost in their world in only a few inches of space. I think that helps, actually. This entry was posted in awareness, change, choice, empowerment on 30 July 2018 by Martina. We don’t have three feet – so it’s time to stop acting like we do. I run into this all the time with clients, friends, family, acquaintances – even in the mirror. We seem to think we have three feet… but we don’t. Too often, and we’re all guilty of it, we live life trying to keep one foot in the past (resentment, grudges, hurt, blame, shame, anger, etc. ), while also trying to put one foot in the future (hope, manifesting, daydreaming, planning, preparing, making goals, striving, wishing, etc.). But this strategy leaves nothing for the present. And it’s the present that allows us to move into the future with more ease, while also allowing the past to heal with grace. 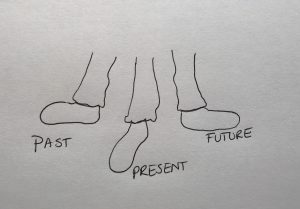 You only have two feet – where do you want to put them? This entry was posted in awareness, change, choice on 25 June 2018 by Martina. Like many people I know, over the last month I have felt emotionally inundated with one shocking headline story after another. My sympathetic nervous system felt under attack, and I needed to do something about it. It’s the old “oxygen mask” rule of taking care of yourself before assisting others, because otherwise, you’re no good to anyone. 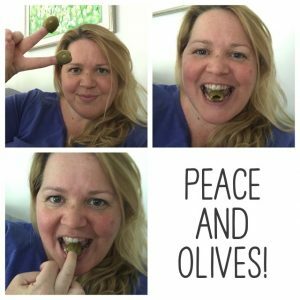 So, one day, I decided to snap a pic of my silly face enjoying some olives… because they made me so happy! They were a new discovery at my local grocery store, and they were DELICIOUS!! So, I took a picture. Then another, and I found myself laughing and smiling and, most importantly, emotionally lifted. I shared it with friends, and they, too, smiled at my goofiness. I hashtagged it #simplepleasures and didn’t think about it again. 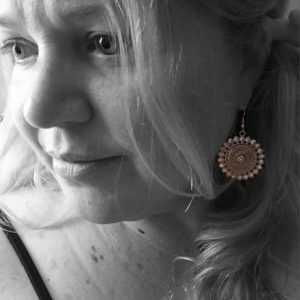 Then, a couple of days later, another small thing made me wonderfully happy: A new pair of fun earrings, and I thought: Hmm…. there’s something here. So I wrote another post, played around with a fun new photo app, and shared it. And with that, I started doing a daily #simplepleasures post for about a week just to see what would happen. What I noticed was that I was pausing more and taking better note of my daily life. 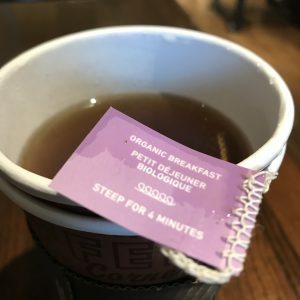 I watched insects crawl and fly around on flowers, I listened to rain on the roof at night, and I sipped my tea more consciously, rather than guzzling down the morning caffeine. While the world continued to spiral all around me, I felt more grounded and better able to remain emotionally-balanced. Subsequently, I also felt more more discerning about where I focused my energy and time. And that’s what’s important here: we have to be discerning about where we focus our attention. With everything vying for some piece of our time or focus, it’s increasingly more and more important to be thoughtful and deliberate about how we move through our days. While our news stations seem to primarily focus on the “bad” things that are happening (see my “PS” below), it becomes increasingly more important for us to take pause in our lives and identify the good things. An awareness practice, like #simplepleasures, is a perfect example of how to do this. 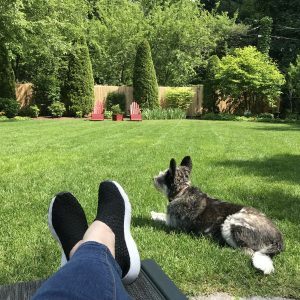 Here are the rest of my week’s posts using the #simplepleasures hashtag. I invite you to try this out for yourself. Make a game out of it with friends and family. It doesn’t mean you’re ignoring the “bad” that’s going on in the world; it means that you’re choosing to keep yourself healthy, grounded and balanced, in order to be able to create positive change with more energy and focus. That’s a win-win, in my book. Continuing the #simplepleasures theme…. tea. On a cold wet day, it makes all the difference. Today’s edition is a clearance rack find at Target during yesterday’s impromptu shopping trip with Mom. I love it! (And will be wearing it next week when I’m writing!) Kindness, compassion, and love are powerful. But nothing’s more powerful than hope. I have hope for a bright, beautiful, and beneficent future, for all. May it be so. A 2nd #simplepleasures for today, because why not? 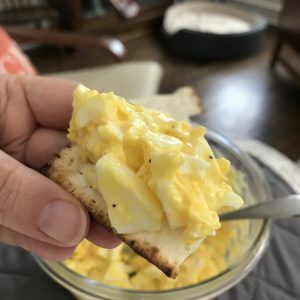 It’s a mindset… Freshly made (aka, still slightly warm) simple egg salad. Yum!!!!! 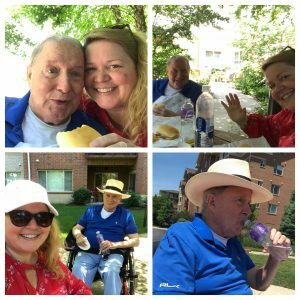 Today’s #simplepleasures was about bringing Dad his favorite sandwich, then a little walk outside. 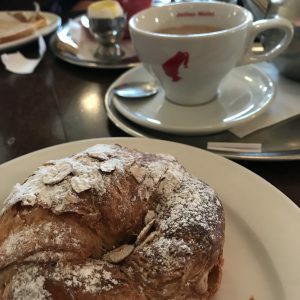 This entry was posted in acceptance, awareness, gratitude, relationships on 13 May 2018 by Martina. I was talking with a friend the other day, and we were both sharing similar stories of what happened when we had announced something successful in our lives. The common denominator after each announcement? We both “lost” followers/friends on online platforms. Why do we do this? It takes a certain amount of thought and a deliberate action to “unfollow” or “unfriend” someone, and when it’s done in response to that person sharing some happy news, it simply causes me to shake my head in wonder. That person doesn’t like me. Actually, I had a conversation a long time ago with someone who told me that somebody famous had “stolen her story,” which to her was her identity. 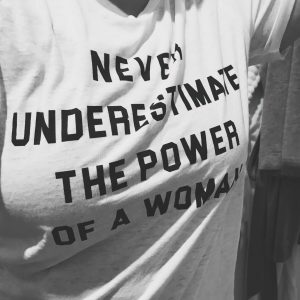 In truth, it was both of their identities in some way, but because the famous person had said it first on an international stage, this person in front of me was convinced that she could never share her story, because there wasn’t room for her anymore. How sad. That one conversation has stayed with me for years. I imagine it will stay with me forever. Why? Because it’s a tangible example of what happens when we live a life from a place of lack and fear, instead of a place of abundance and possibility. No two stories are exactly the same, however similar they may sound. The main difference is that no two people would share their stories in exactly the same way, which is what makes each person on the planet unique: their voice. It’s when you think otherwise that you leave room for resentment and envy to plant seeds. Which brings me back to my original statement: Sour grapes make bad wine. 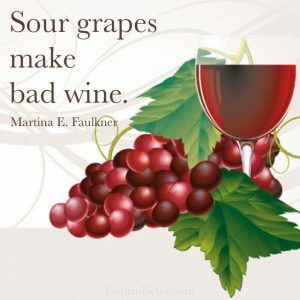 When we approach someone else’s success or uniqueness with envy, resentment, frustration, or even anger, we are turning ourselves into sour grapes. And nobody likes that. Furthermore, when sour grapes are added into the barrel of life, they taint the wine, and nobody likes that. Eventually what happens is people start to exclude us, because they simply don’t want to be around something so bitter. The flip side is also true, and for me it’s what I focus on. If someone is going to unfriend, unfollow, or even talk badly about me or my work – I can now choose to happily let them go, because I don’t want their sour grapes tainting my delicious barrel of wine. While the initial realization may sting a bit (again, we’re all human, and it obviously takes effort to unfollow someone), the truth is the best the balm I could ever imagine. And then I can find gratitude that they have removed themselves and self-identified as someone that doesn’t blend well with what I’m offering. Or, to put it another way, as my friend Jen Pastiloff says: Instead of getting caught up in who doesn’t like you, get caught up in who does. Ahh… what sweet wine that is! This entry was posted in awareness, change, empowerment, wisdom on 18 December 2017 by Martina. Recently, I had a wonderful conversation with one such person in my life, and I was so grateful after we hung up that I asked her to write a piece for InspireBytes™ reiterating what we had discussed and what she had shared with me from her experience, study and wisdom. It’s about the importance of frequency and how we can work with it to create positive change in our lives. With the new year upon us and a seemingly overwhelming desire to make changes, this might be a really helpful way to look at things. Franny says it so well, and I’m glad she agreed to share it here so that the rest of you can benefit from her words. Everything is energy. Everything is frequency, and yes… we get to choose how to work with it and therefore change our own. Pretty cool stuff! Frequency… what is it really? And, more importantly, how can we work with it to our benefit? When you hear the word “FREQUENCY” what does it conjure up in your mind? And how could exploring frequency support us in our path to having the greatest potential of sound Body, Mind, and Spirit? But why is it important to cultivate the highest frequency within our essence as we can? We are innately the “Light of the Divine,” and we all hold this spark of light within us. This spark of the Divine is often referred to as our “Core Star.” The Core Star has its own High Frequency that is Pure. This purity has no trauma, distortions, or low vibrations within it, unlike our physical body which can hold trauma, illness, congestion as lower vibrations. 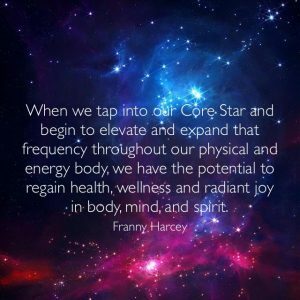 When we tap into our Core Star and begin to elevate and expand that frequency throughout our physical and energy body, we have the potential to regain health, wellness and radiant joy in body, mind, and spirit. The applications for our own and our planetary well-being are infinite. Therefore, it is important to cultivate and expand our Core Essence. To practice accessing and working with this Divine Spark, allow yourself to sit in a quiet place – maybe outside leaning up against a tree, or sitting at the ocean listening to the waves crash, or maybe in your favorite chair at home. Scan your body from head to toe with your mind’s eye and ask where your currently “feel, experience or sense” your Divine Spark. Once you have located it, breathe into the center of the spark and allow it to expand in your body. Because this Core Star is a High Frequency, it can clear lower congested frequencies. This entry was posted in awareness, choice, empowerment on 4 December 2017 by Martina. It’s December 4th, and I am already witnessing the stressors of the holiday season begin to show up. Upon running a few simple errands today I saw both frustrated and happy shoppers. Some were smiling as they completed the tasks they set out to achieve, while others were grumbling as they pushed their carts through the aisles. So, while our mood may or may not be a choice, we definitely have power over how we choose to spend our time… which directly affects our mood. 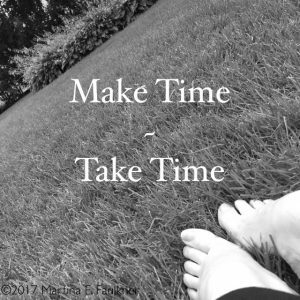 When we make time to take time, we empower ourselves to take action that leads to a more peaceful presence. In other words, our mood becomes a byproduct of our actions and decisions. Carving out 15 minutes in the morning to sip your tea or coffee from a favorite mug, while listening to music, an audiobook or a podcast. 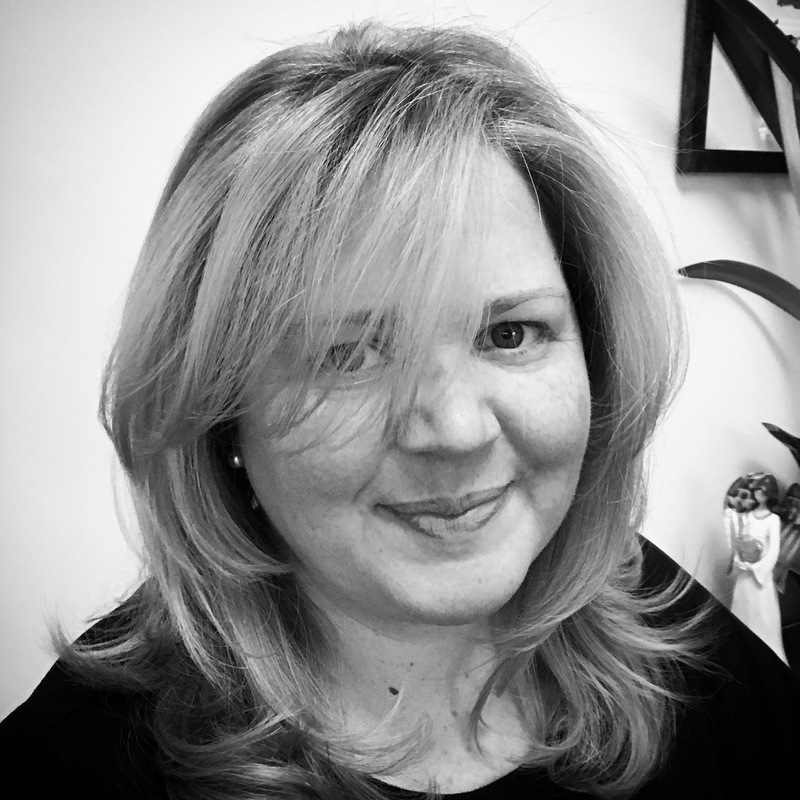 Planning 15 minutes ahead of schedule when you have an event to go to, so that you arrive feeling relaxed and excited, rather than rushed and frazzled. Choosing to sit down and eat your dinner at the table with nice plates and silverware, and savoring every bite, even if you’ve ordered in. Ordering in! Even the best cooks need a break. Ordering in is a simple indulgence that allows you to reclaim at least 30 minutes that would have been spent cooking. As you can see from the list, it’s all about being deliberate with our time. Our society has a tendency to glorify being “busy” – but there’s no trophy for feeling frazzled and stressed. Typically, there’s only exhaustion and frustration, and nobody likes that. So, in order to shift your attitude from one of grumbling through the aisles to one of quiet joy in accomplishing your everyday tasks (including attending numerous holiday events), instead of choosing your mood it might be easier to choose how you spend your time. We do this by carving out little snippets of time in our day to create moments of pleasure, joy, or peace. It really does make all the difference.